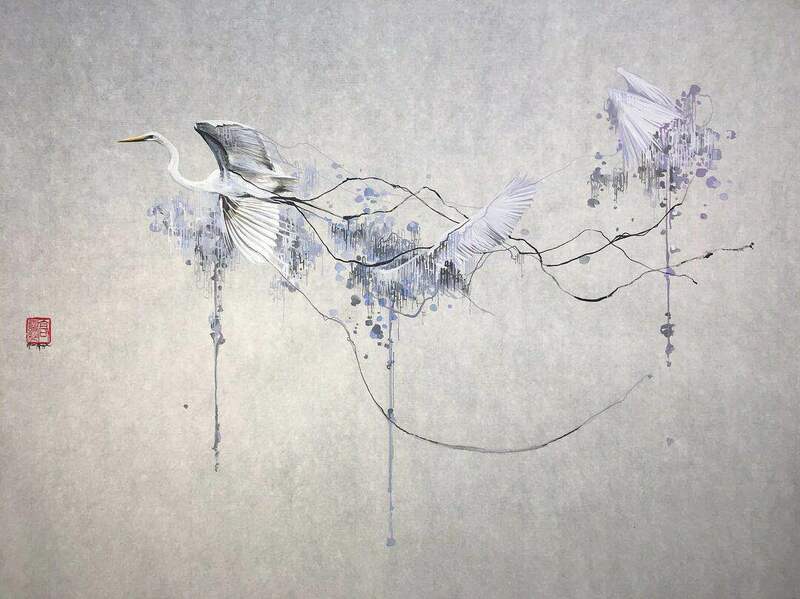 Following her exhibition opening on March 2nd, 2018 at IINNOO Gallery in Shanghai, Nissa Kauppila sat down with CNCREATE and walked us through her journey as a painter in the Chinese art world. 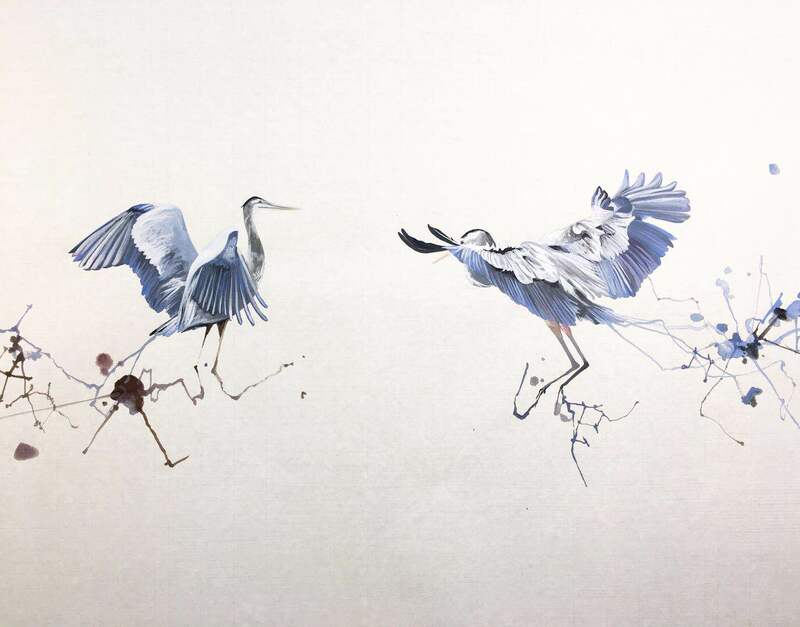 Nissa, a rural Vermont-native and Shenzhen resident, has quickly become one of China’s leading painters, being represented by galleries across Asia, the US, and Europe. 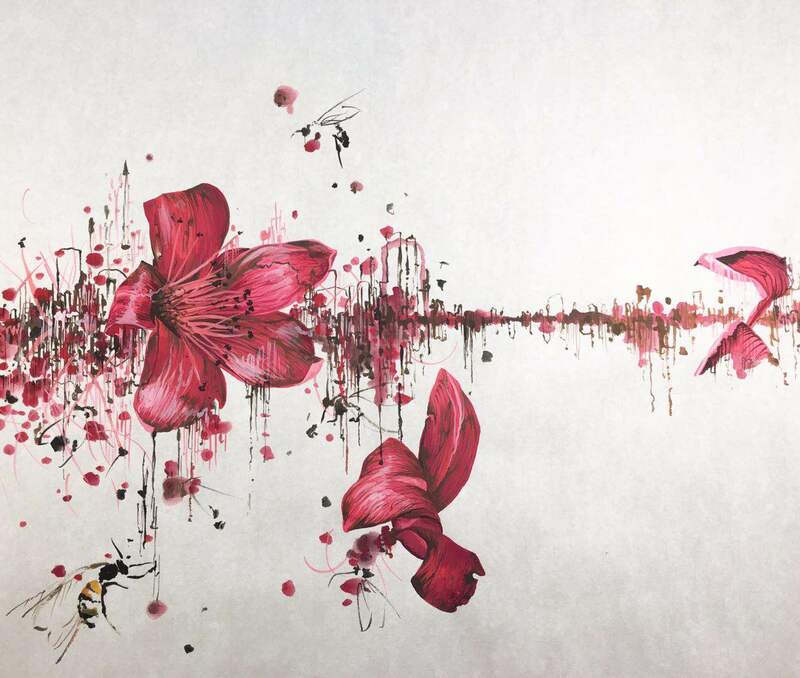 Her work gravitates between realism and surrealism with naturalistic components that disintegrate into a dream-like glitch of color. 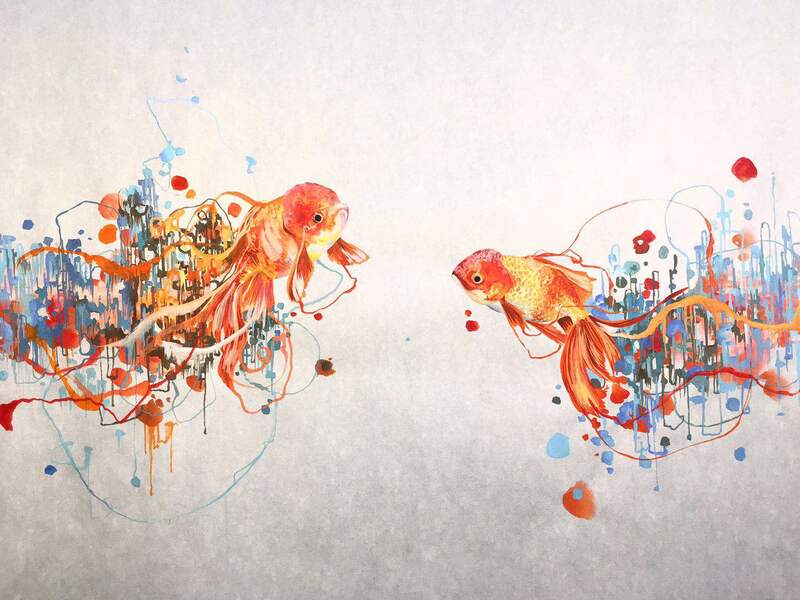 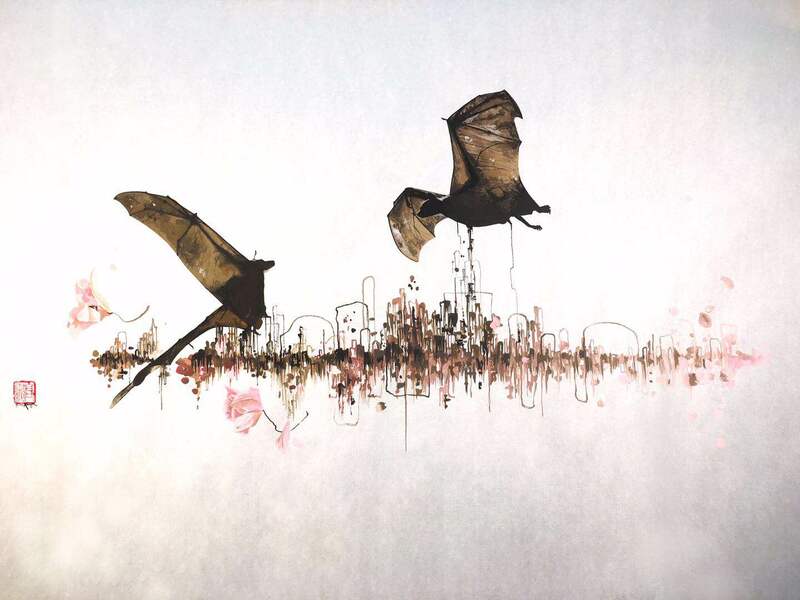 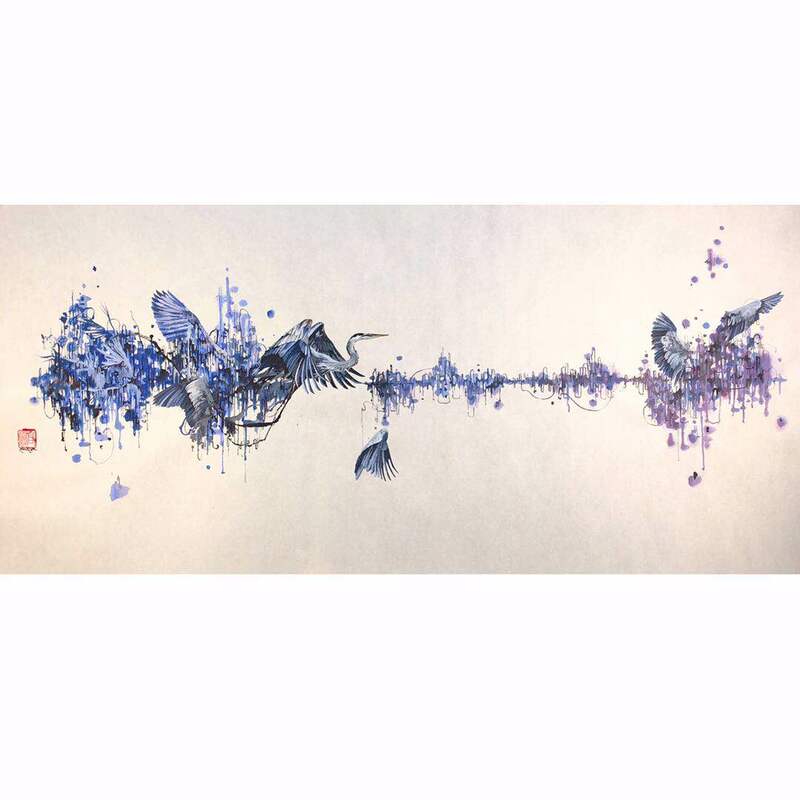 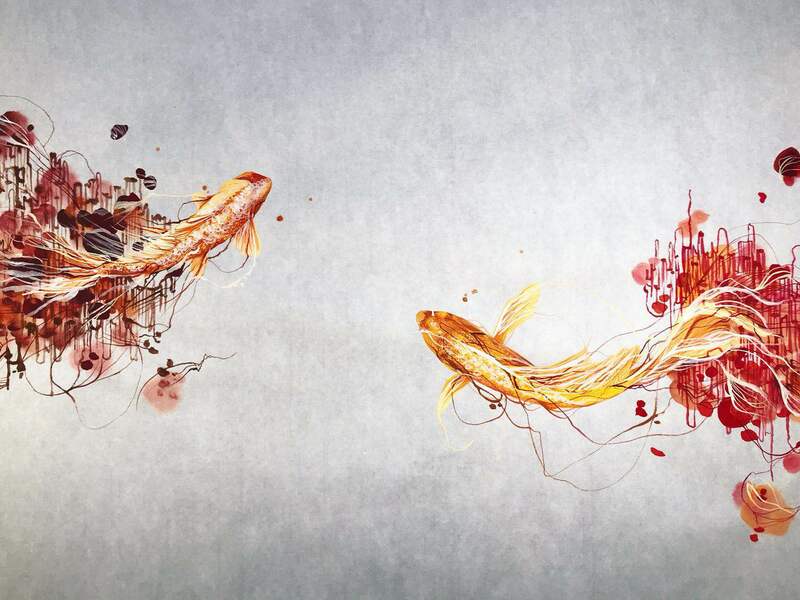 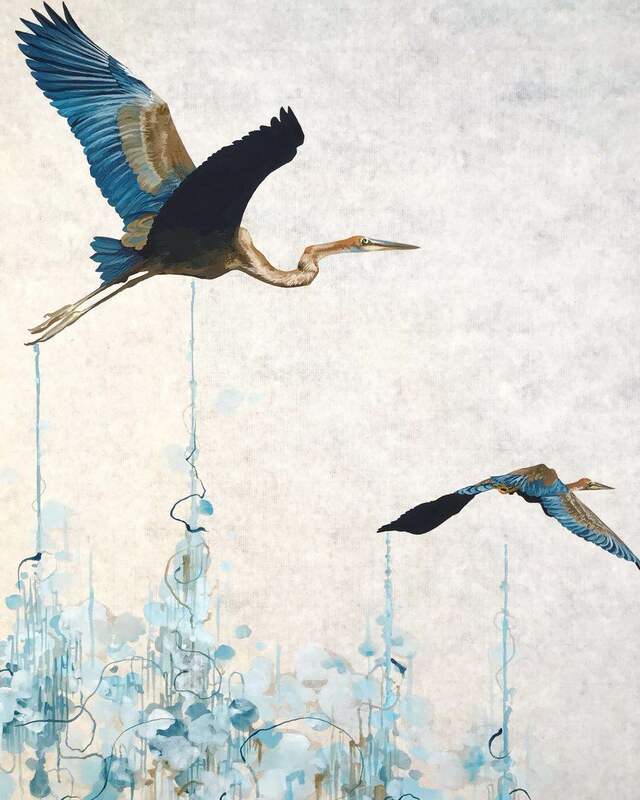 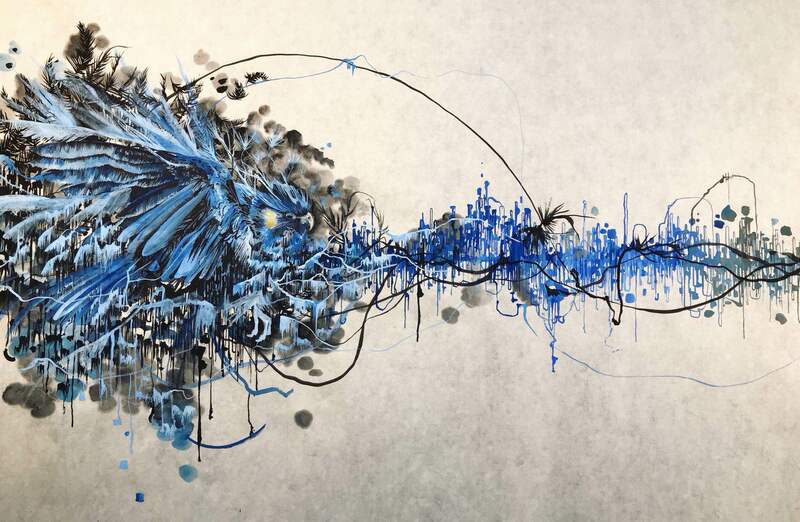 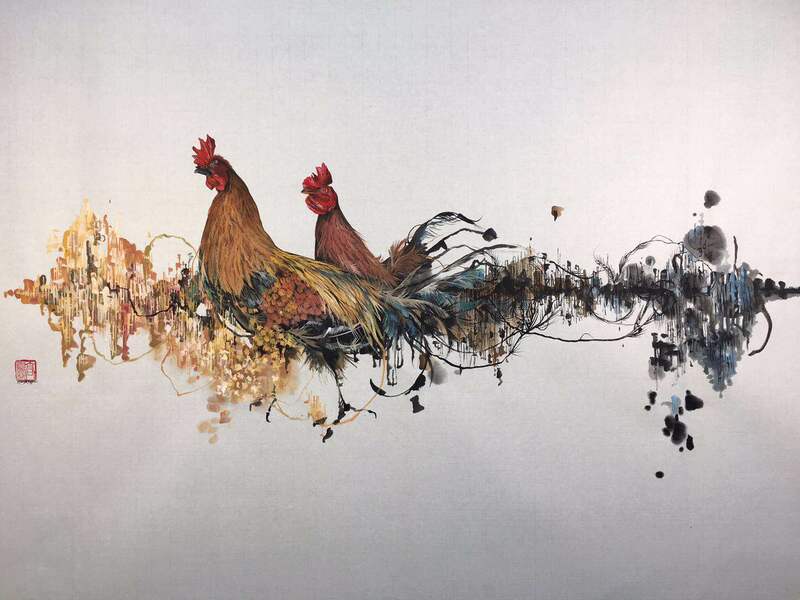 There is an ongoing duality between serenity and chaos that is materialized through her collocation of traditional Chinese ink and gauche techniques with a contemporary style. 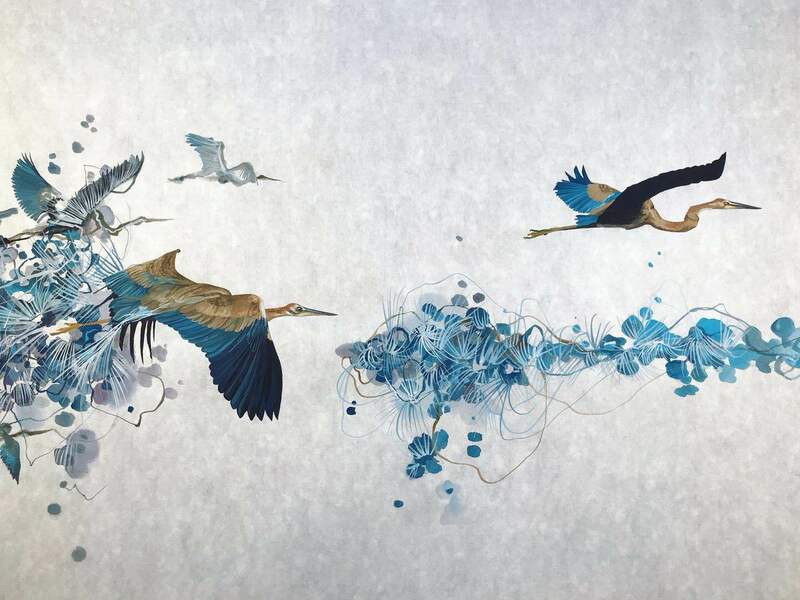 Her work plays with a sense of reality as she paints her subjects as the focal point, mainly birds in flight, which eventually begin to unravel like coils and cirrus clouds lingering through the white space. 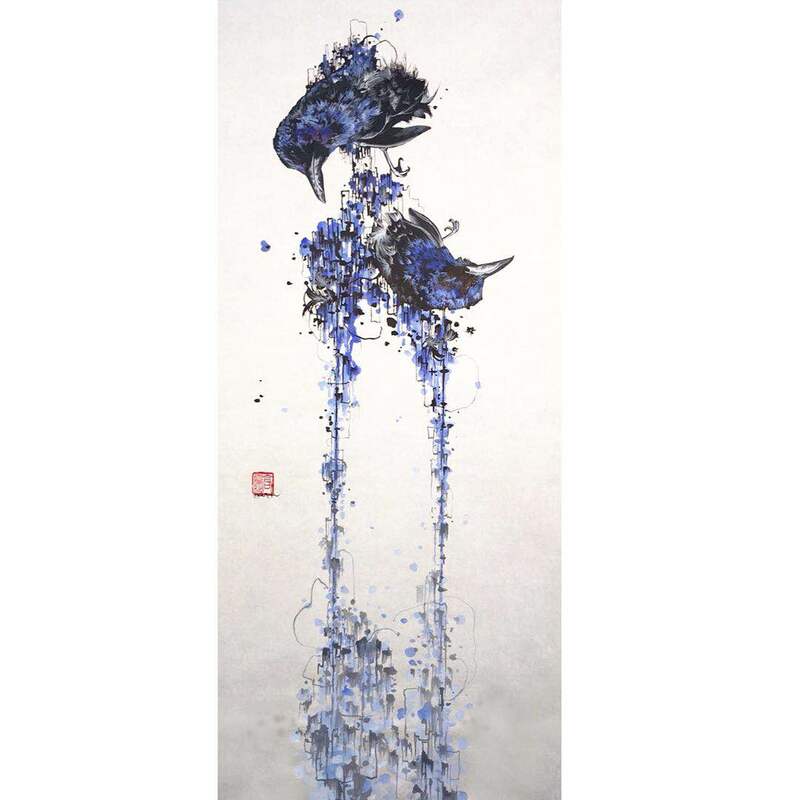 Apart from the meticulous methodology, Nissa added that the biggest lesson she learned was the spirituality and meditative process behind painting, which was a notion she had not considered before but is now ingrained in her artwork. 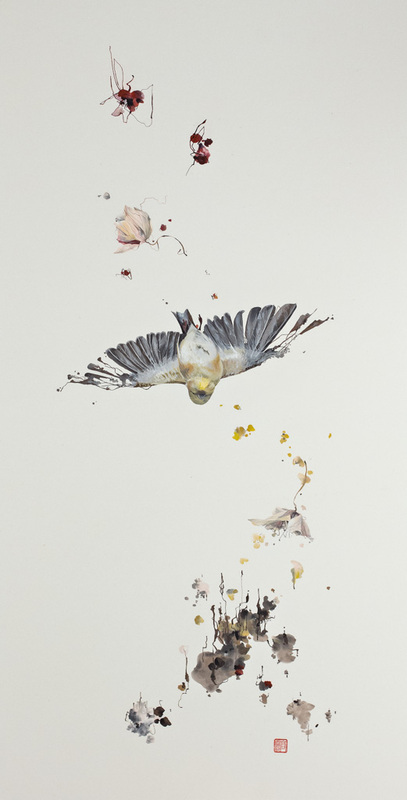 Nissa’s work challenges binaries like strength and fragility with images of a bird in freefall, where the viewer is not sure if the bird has surrendered in defeat or if it has been liberated and thus empowered by its decision to let go. 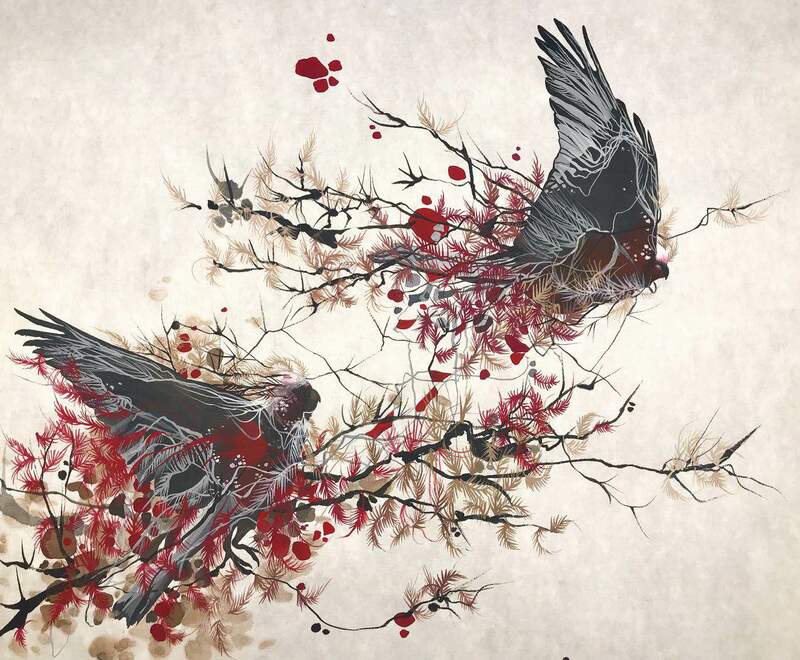 Or between life and death with flowers in blossom simultaneously disintegrating as if their moment of bloom was only a fleeting second, which the viewer was fortunate to catch.